Tom Cruise poses for photographers upon arrival at the premiere of the film 'Jack Reacher: Never Go Back', in London, on Oct. 20, 2016. A video taken on the set of "Mission: Impossible 6" shows Tom Cruise limping after performing a stunt where he jumps between buildings. The video was published Sunday by TMZ. It captures a tethered Cruise leaping to a building, hitting its side and then crawling over the top and running away. After he finished the take, Cruise is seen limping, though he was able to rappel back to the building he jumped from. The extent of Cruise's injuries wasn't known. Neither Cruise's representatives nor Paramount Pictures returns messages Sunday. The 55-year-old actor is well known for performing many of his own stunts. 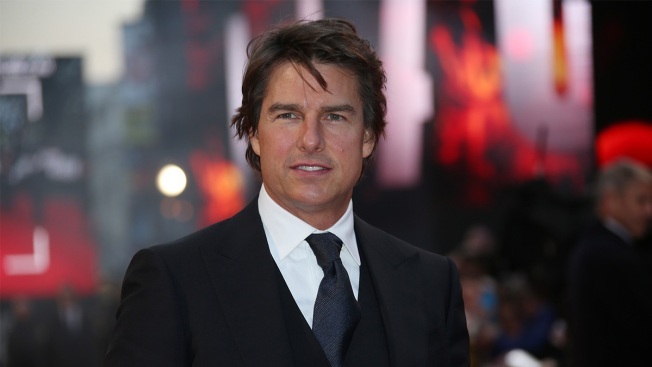 The sixth installment in the "Mission: Impossible" franchise is currently shooting in London. It's scheduled for release in July next year.